The Coalition of Lalong Support Groups, a combination of various interest groups in support of Gov. 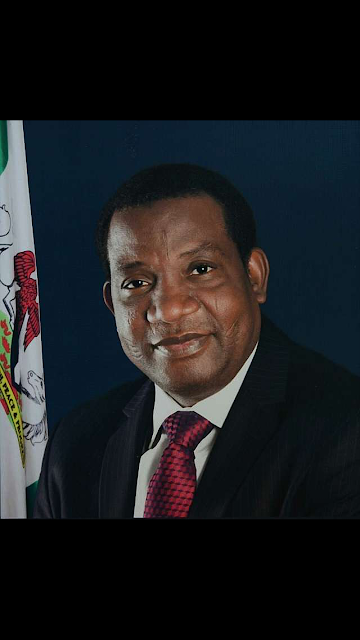 Simon Bako Lalong says the recent "unfortunate" attacks which coincided with the President Muhammadu Buhari's visit to the State has proven that the attackers do not mean well and have "declared war" on the State. The group in a statement on Thursday said the development calls for unity amongst citizens of the state regardless of religious, ethnic or political differences. The statement signed by Steven Jings, Iliya Ajang and Dalyop Choji however faulted the way and manner some commentators have reacted to the happenings, suggesting the Lalong administration does not have regards for the sanctity of lives. "This shows that they either lack knowledge or deliberately refuse to appreciate the effort of the Rescue Government in handling the Security situation in the State," the statement says. The group therefore call on such individuals to "Separate Politics from Security issues" as victims of the attacks cut across political divides. It said, "This group strongly believes that with the support of the citizens of the state and synergy amongst the various Stakeholders, this government along side the various Local government administrations has the capacity to curb these incessant attacks." The statement recalls efforts by the Lalong government at building peace to include various peace meetings from the start of the administration and the recent Peace Roadmap launched by President Buhari. The group said, "On assumption of office in May 2015, the administration held series of town hall meetings with all stakeholders in the state towards finding lasting solution to Peace. "One of these is the constitution of peace and reconciliation committee amongst the Berom and Fulani ethnic Nationalities that had suffered worst casualties. "During the interaction and reconciliation, over 22 causes of crisis were identified and both parties also suggested series of solutions, one of which included the establishment of Plateau Peace Building Agency (PPBA). "Engaged in inter-agency collaboration especially with Operation Rainbow and Plateau State Small and Medium Scale Entrepreneurs Development Agency (PLASMEDA) where synergies are built on issues of conflict resolutions and peace building and the launch of the Plateau Peace road map by the President lately." The group therefore called on the security agencies to be more proactive in intelligence gathering "which is the only way such attacks can be prevented." The relationship between the Security men and the communities need to be improved in order to build more confidence and trust, the group said. It further advised the state government to "adopt similar approach taken with the Beroms and the Fulanis when it assumed office." While appreciating the effort of the Federal government in tackling security challenges across the nation, the group demanded for more efforts and attention to Plateau State in order to bring an end to the "needless" loss of lives and properties. "We also call on the government at all levels, non-governmental agencies and spirited individuals to come to the aid of the displaced persons in the affected communities in order to alleviate their sufferings," it added. The Lalong groups appreciated the role of the press in reporting security issues and peace building in the State, but however charged journalists to avoid sensational reportage capable of "escalating" the situation.